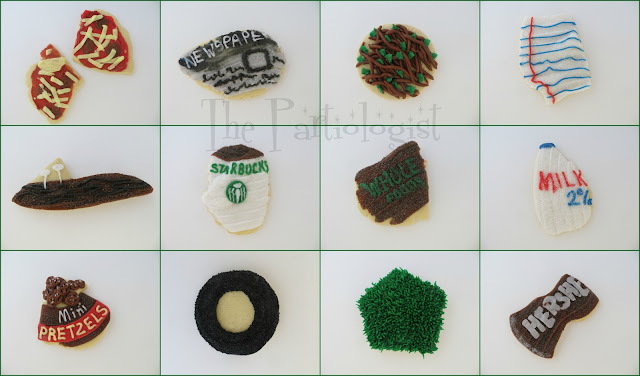 Most of the time when I talk about trash cookies, I think of cookies that don't turn out and should end up in the trash. (Usually, they end up in my belly). This time I'm hoping the cookies look like something you would find in the trash. 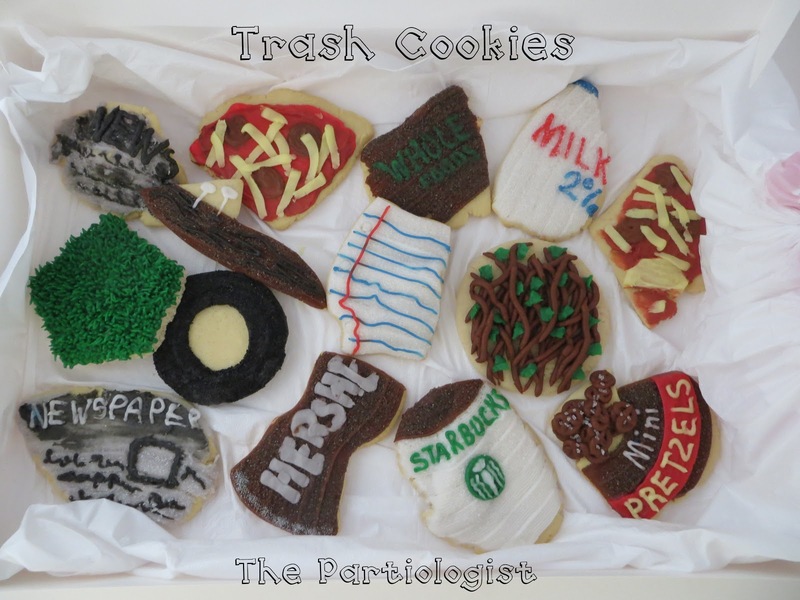 Yep, I made trash cookies... on purpose! Today, my hubby is taking his employees out for lunch to celebrate one of their birthdays. Yes, we have a small garbage company, he's a Garbologist and I'm The Partiologist. Obviously, we were meant to be. So he asked me to make some cookies (he doesn't ask often). So I decided to make trash cookies for the celebration. What little boy or grown man wouldn't want to eat cookies that looked like this? I just hope they know what they are, and I'm wondering if you know? My plan was to have them presented in a mini galvanized garbage pail. Only they would really look like trash if I stacked them on top of one another. I decided to place them on a trash bag in my cookie box. Who would have thought that making trash cookies would be so complicated. Now that I made trash cookies, I needed someplace to dump them. And I needed a Birthday Cake. Because I was tired from making all the trash cookies, I just wanted to finish and clean up my mess. So I baked and frosted a mound shaped cake and filled the landfill up with all kinds of trash. 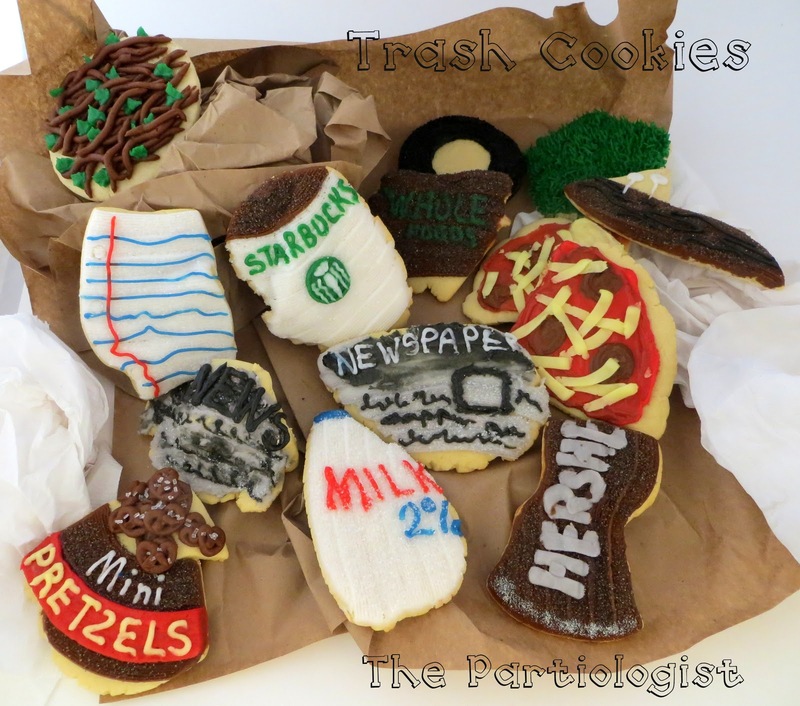 Broken cookies, tin foil, wax paper, cupcake wrappers, coffee filters, all kinds of food safe trash. I hope you have a Trashy Day! They are totally hilarious. I hope the birthday boy appreciated your talent and hard work. I especially love the nails in the wood. So clever!! This is absolutely incredible! I love it! You did an awesome job coming up with the perfect treats! Tell Tim hello and have a wonderful and "trashy" weekend! :) Cheeron!!!!!!! Glad you love them - hope you're having a great Phoenix weekend! I'm giggling here!! I wish my trash looked this yummy. So creative! 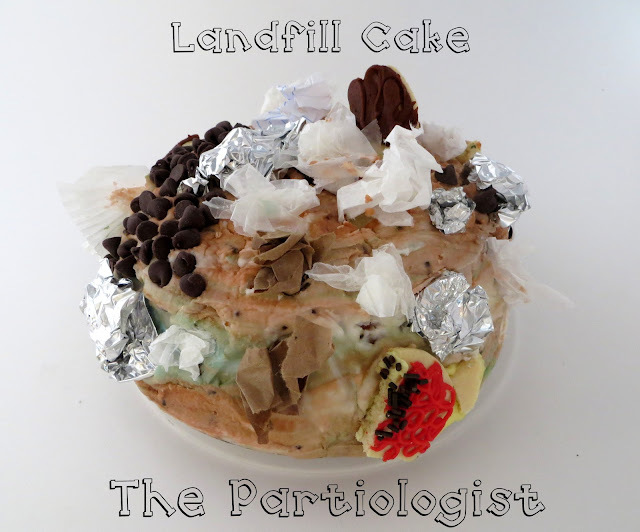 And that Landfill Cake is ingenious! Ha! that's awesome and perfect for the business. Totally unexpected I imagine too. They were surprised and it was a good think I made extra cookies to eat because they all wanted to take some trash home! I SNORTED at the garbologist! You're a hoot!